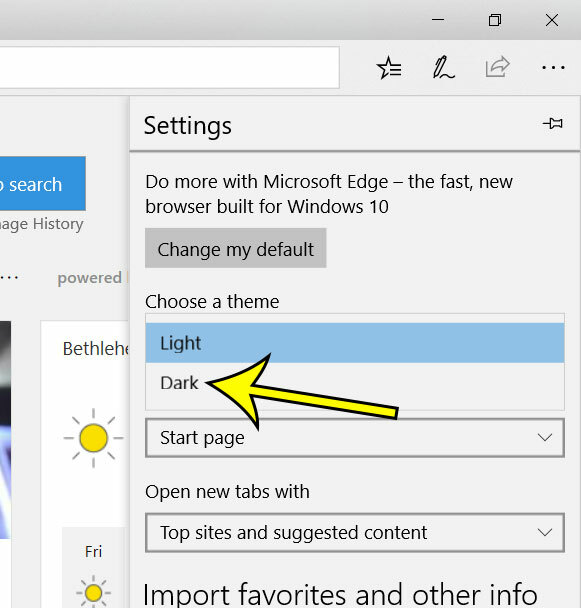 Home Microsoft Windows 10 Does Microsoft Edge Have a Dark Mode? Do you often use your laptop or desktop in a dark room or at night? If so, then you are probably aware of exactly how bright a white screen or background can be. Maybe you’ve even experimented with lowering the brightness on your monitor, but that can be an issue when you go to use the computer in bright light. Fortunately many apps have dark modes that you can use, including the popular Microsoft Edge browser. 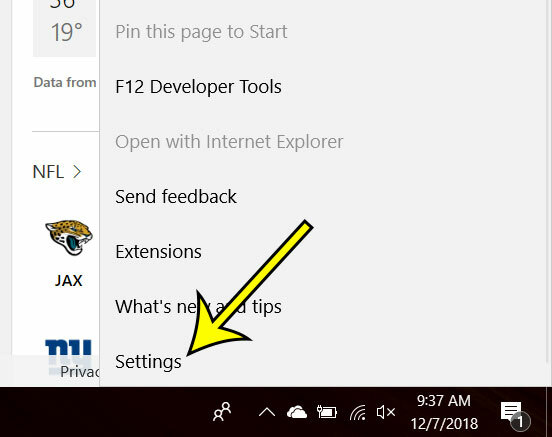 Our tutorial below will show you how to put Edge into dark mode and make the settings and menu bar a darker color. 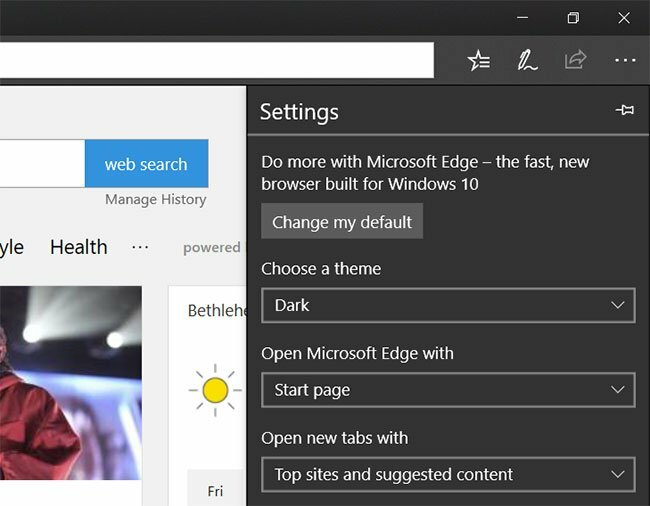 The steps in this article are going to show you how to change the theme in the Microsoft Edge Web browser so that it uses its dark mode. This changes the background of the menu and the menu bar to a black color, which is meant to be a little easier on the eyes. 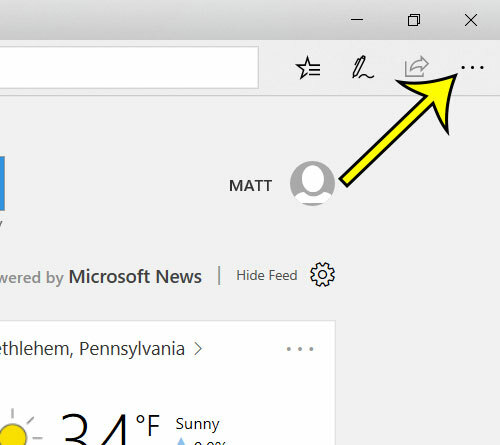 Step 1: Open the Microsoft Edge browser. Step 2: Click the Settings and more button at the top-right corner of the window. Step 3: Choose the Settings option from the bottom of the menu. Step 4: Click the dropdown menu under Theme and choose the Dark option. Edge’s appearance should change immediately to reflect the dark mode. It will look something like the image below. A lot of other popular apps and websites also have dark modes. Check out this guide if you would like to switch the YouTube desktop site to its dark mode.